Danny Sullivan covered this at Marketing Land and pointed out the fact that these are just computers, that is until someone at Google edits the data by hand. Someone at Google was having too much fun today. 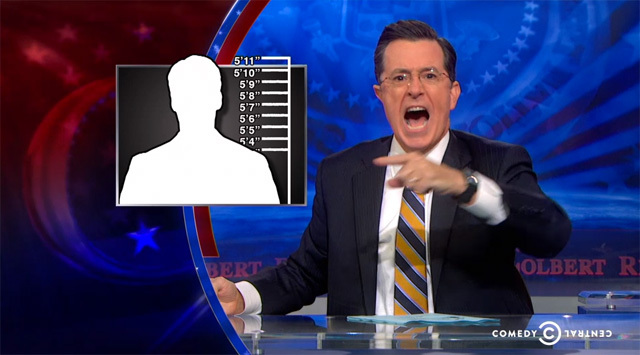 Stephen Colbert delivered a fabulous rant last night about Google being wrong about his self-described height of 5' 11". 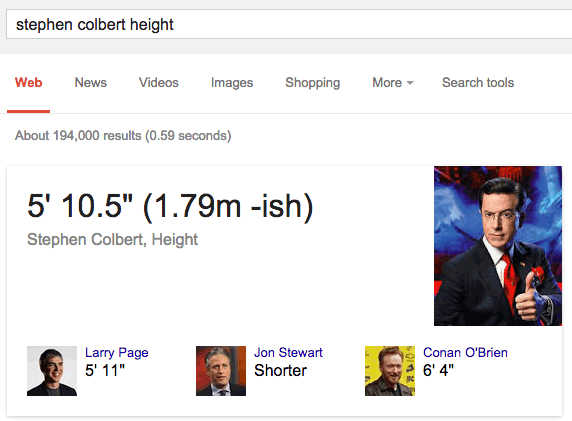 Today Google corrected its assessment. If I had to guess, Satyajeet Salgar at Google made the change.